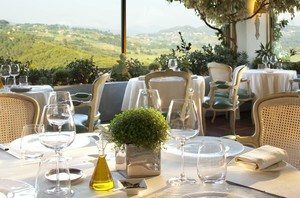 The Hostellerie Bérard is located in the hilltop village of La Cadière-d’Azur and offers breath-taking views across the Provence countryside. The property consists several ancient characterful buildings including an 11th Century monastery, and is a true haven of tranquillity, giving you a real taste of the Southern France art de vivre. 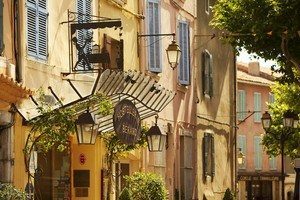 The Hostellerie enjoys a great location in an authentic Provençal village and is the ideal base from which to explore the Bandol and Cassis vineyards as well as the stunning countryside. The gorgeous Marseille Calanques half an hour’s drive, and you may wish to take advantage of the idyllic weather and enjoy a day on the beach. The Hostellerie has a lovely outdoor swimming pool as well as a spa and relaxing wellness centre. In addition, guests can enjoy entertaining cookery classes held at the Bastide des Saveurs led by Michelin starred Chef René Bérard. Here, you can learn how to cook delicious Mediterranean dishes in an enchanting setting. A gastronomic restaurant and the renowned Bistrot de Jef are also on-site for foodies. 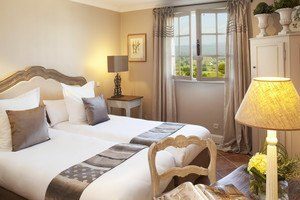 The Hostellerie boasts 37 rooms decorated in a Provençal style, creating a warm and cosy atmosphere. The rooms all have en-suite bathrooms as well as complimentary WIFI, a TV, climate control, a minibar and a safe. They also offer stunning views of the surroundings.